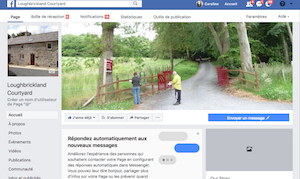 Loughbrickland Historic Trail: This trail on the very doorstep of the Coach House takes the walker not only on a journey through the village of Loughbrickland, but also through time, from the earliest traces of settlements in the area to the latest developments. 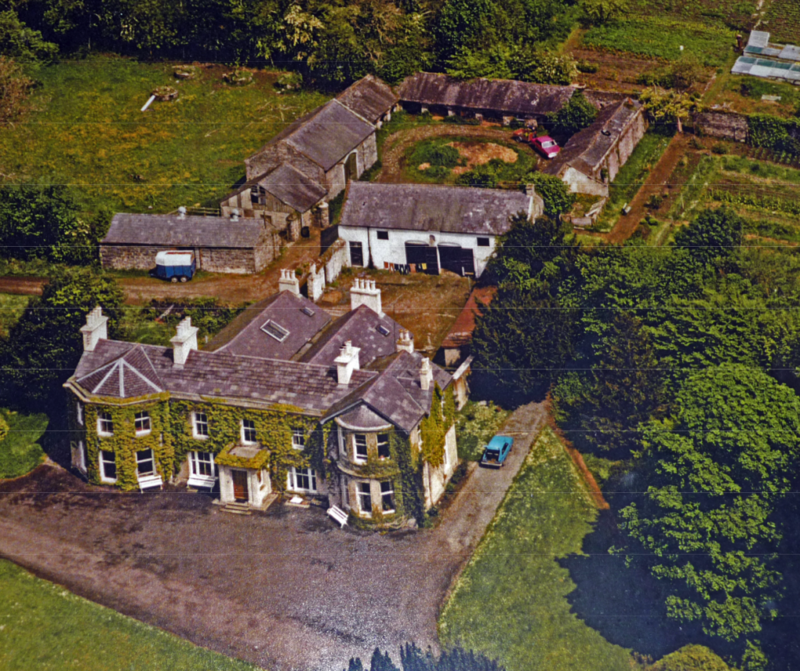 It starts by the lake, proceeds through the village and into the grounds of Loughbrickland House; it circumnavigates the house starting from the front gate-lodge, going through the woods and past an impressive rath or ring fort over 100 feet in diameter and then returning to the front gate via a different route. If you prefer you can take a longer loop along the Boundary Trail, which passes through a second ring fort, Johnston’s Fort, and then returns to the Gate Lodge. Both trails may be joined just beside the car park for the CoachHouse and are waymarked. The Historic Trail was developed by the Loughbrickland and District Community Association with assistance from Banbridge District Council and Conservation Volunteers. 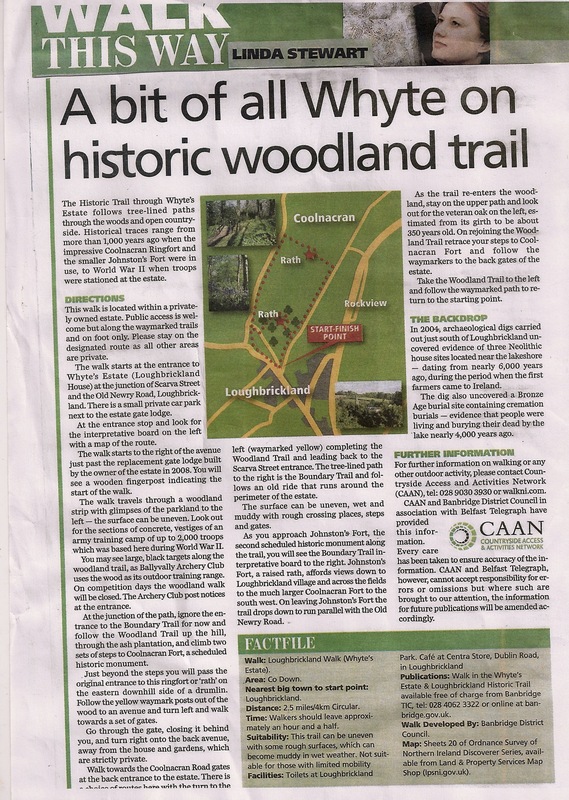 This walk was accredited as a ‘Quality Short Walk’ by CAAN (Countryside Access and Activities Network). Information about the walk, including maps and a slideshow of photos from the walk can be found on the Walk NI website (click on the photo thumbnails on the right to start the slideshow). The website also has information about other walks in the area. You can read a Belfast Telegraph article about the trail here. Local archaeological sites: Three ancient sites were uncovered during recent work on the A1, one just south of Loughbrickland village, another at the Fourmile and a third in the Derrycraw townland, near Beech Hill. Neolithic houses (dated to between 3710BC and 3602BC) were found as well as evidence of habitation up to and during the Bronze Age ( 1600 BC – 800BC). 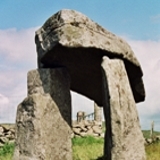 These have been mapped, but on the whole not marked, except for the Legananny dolmen (see photograph) – for which transport is necessary. You can download a pdf map of them here. Another archaeological site that is close by is Finnis Souterrain. If you require transport so as to go further afield, consider contacting the Car Rental Dublin website at Dublin airport for comparisons of car hire rates. The Newry Canal Way: A 20 mile cycling and walking route between Portadown and Newry. Nearest point of access from Loughbrickland is Scarva. The towpath offers all users the opportunity to observe the varied flora and fauna and to discover the historical and archaeological heritage of the area. Murlough National Nature Reserve: Fantastic walking country and a haven for bird watchers. A network of paths and board walks enables you to explore this amazing nature reserve. Access all year; Admission charge when facilities open. Email: murlough [at] nationaltrust.org.uk. Castle Espie Wetland Centre: Set on the shores of the stunning Strangford Lough in Northern Ireland where almost the entire population of Light-bellied Brent Geese reside during the winter months. Drumkeeragh Forest, Castlewellan: A range of walking trails varying in length and difficulty. Choose the trail you wish to walk from the map on display in the car park. Admission free. Quoile Countryside Centre, Downpatrick: Wander through lush woodlands and wetlands of this tranquil riverside haven where wildfowl nest among the reeds and riverbanks. Open every day April – August; Saturdays and Sundays only September – March. 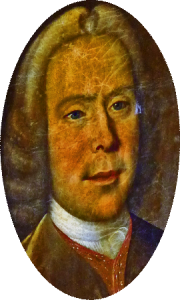 Email: quoilecc [at] doeni.gov.uk. Hillsborough Forest Park. A comfortable 20 minutes drive brings you to this lovely park with a circular walk (about 1 hour) around the picturesque lake with swans and ducks. Admission free all year. Parking. Slieve Gullion Forest Park: Just off the southern roundabout of the Newry bypass. Open all year; No admission charge. Farm animals. 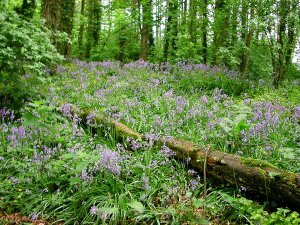 Clare Glen: A park in a winding river valley in County Armagh. Open all year; No admission charge. www.mournelive.com: The Mourne Heritage Trust runs guided walks. The Lagan Valley Regional Park runs a series of events throughout the year including guided birdwatching, discovery walks, treasures hunts, butterfly and mothhawk observations, spider safaris and art in the park. The F.E. McWilliam Sculpture Gallery and Studio just down the road on the way into Banbridge commemorates F.E. McWilliam from Banbridge, widely regarded, after Henry Moore, as the most gifted sculptor in Britain in the 1930s and 1940’s. After his death in 1992 his daughters presented his studio and a number of sculptures to Banbridge. In partnership with Drogheda Borough Council, funding was obtained from the EU Interreg 111 Fund and a magnificent Sculpture Centre was opened in 2008 comprising an interpretative centre, the reinstated studio, a landscaped sculpture garden, a sculpture park and a sculpture workshop gallery. It is a landmark in the cultural infrastructure of the area. Good for a rainy day but even better on a sunny day! The complex also includes a Tourist Office and a very attractive coffee shop for lunch and snacks. Address: 200, Newry Rd., Banbridge. Tel 0044 28 4062 3322, email femcwilliam@banbridge.gov.uk. Loughbrickland is a good base for excursions such as the Bronte Homeland DriveArmagh with its two cathedrals, the prehistoric Navan Fort, the Archbishop’s Stables, the County Museum, and the Planetarium etc. Gosford Forest Park and Castle, in County Armagh, are well worth a visit. You can also venture south to Co. Louth and explore the towns of Dundalk and Drogheda (famously sacked by Cromwell). And the famous prehistoric sites (Newgrange) and monastic sites (Old Mellifont Abbey, Monasterboice) of the Boyne Valley are but a step down the road . Slightly further afield to the north, Belfast has now a well-developed set of tourist attractions, including the Ulster Museum, St. Anne’s Cathedral, Queen’s University. The Ulster Folk and Transport Museum is a well laid out attractive display of buildings and living crafts of times gone by in Cultra on the road to Bangor. Find out what’s on in Belfast at the Belfast Welcome Centre website. Ardress House, and The Argory in Co. Armagh, and Rowallane Gardens (especially spectacular when the rhododendrons are in bloom in May) , and CastleWard in Co. Down. For full details see Armagh, Banbridge and Craigavon Borough Council, and www.downdc.gov.uk. There’s a helpful overview of things to do in the Mourne Mountains area on the Mourne Mountains website. You can also explore the Countryside Access and Activities Network websites at www.walkni.com, www.cycleni.com, www.canoeni.com and www.outdoorni.com. A number of Centres around Co. Down offer programmes of relaxation and therapy – in Ballynahinch, Killyleagh, Downpatrick, Newcastle and there are also Seaweed Baths in Newcastle. Banbridge, a historic market town, provides excellent shopping facilities and boasts The Boulevard, a major shopping precinct with international stores situated beside the A1 where it bypasses the town. Newry has two modern shopping centres: The Buttercrane Centre and The Quays. Sprucefield on the south side of Lisburn has a range of department stores including Marks and Spencer, Sainsbury’s, B & Q, Argos etc. Culinary Delights – where will we eat tonight? The Seven Stars – local pub – conventional pub meals. Very popular with locals. The Plough in Hillsborough opposite the Court House. Superior Bistro /Restaurant. Wise to book ahead. Lunch or dinner. Music sometimes. The Hillside, Main St., Hillsborough Good quality home style cooking. Lunch and dinner. The Bronte Steakhouse, Ballinafay Rd., – follow signs which lead you to the left off the road to Rathfriland from Loughbrickland. Nice atmosphere. Excellent steaks and choice of other dishes. Licensed. The Pot Belly, Banbridge Rd., Located in a former pottery. Superior restaurant moderately priced. Licensed. Lovely cocktails. Sunday lunch; dinner every night. Great choice of dishes; fresh ingredients, well presented.